Just as cooking is an art, designing your kitchen is an art too! 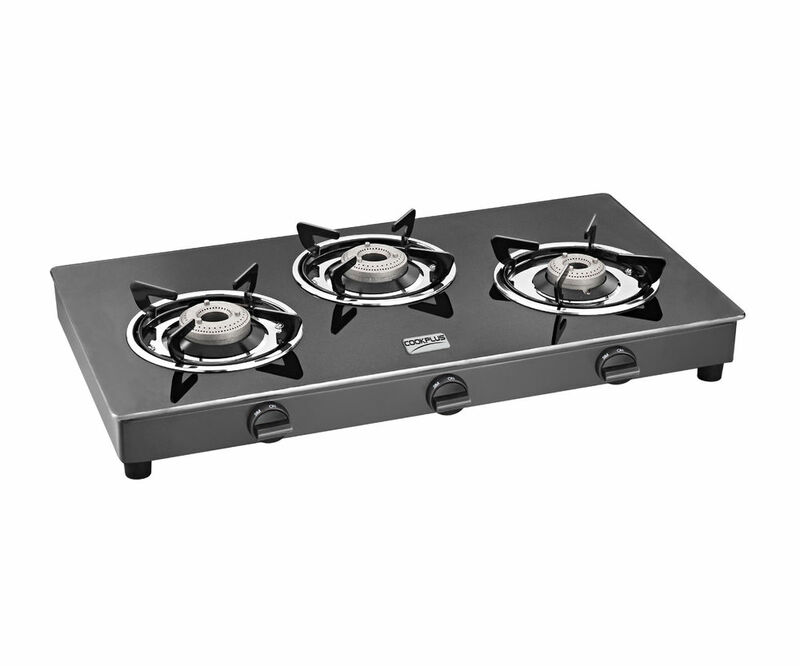 Here is the befitting 3 burner gas stove from Cookplus, to match the well-designed kitchen of yours. The 3 burner gas stove comes with dual convenience. One, it doesn't owns much of a space on your platform. Second, it comes with that extra helping hand, for speedy cooking. The black crystal is something, that could be very aptly called as a cherry on the cake. As it adorns the modern on-going trend of marble platforms. Just a perfect combination of style and quality.